I wish I could say I’ve heard it all now, but I know I haven’t. NEW YORK (AP) — Looking to beef up your mojo this holiday season? The fragrance is on sale at New York City retailer Ricky’s NYC in stores and online for a limited time for $3.99. 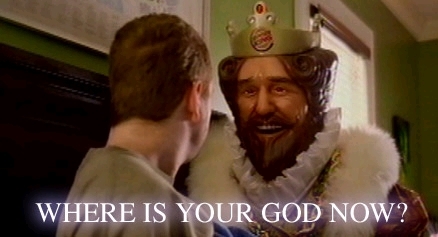 Burger King is marketing the product through a Web site featuring a photo of its King character reclining fireside and naked but for an animal fur strategically placed to not offend. There’s only one thing this brings to mind.